My housemate came home and handed me an article from a Danish newspaper that had asked it's readers which countries they liked best. It came as a surprise to no one that Norway was the runaway winner, because the Danes have historically always been incredibly fond of their old colony. Second came Germany because the Danes have been working so closely with them, exchanging tourists and what not, that old hate from the war is gone. It was however a huge surprise that Sweden was number three considering our history and how ill we speak of each other on a daily basis, but it would seem it's all talk and the Danes are warming up to their old nemesis. I like Sweden. 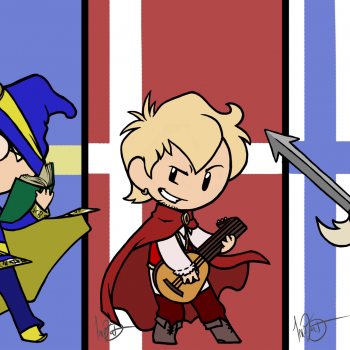 If Sweden weren't there, then who would I make fun of? Ja, jag vil leva, jag vil dö i Svineland! To all Norwegians! We do NOT see you as our "old colony" you were not just a part of us but the best part of us! When people love eachother they don't want to be seperated, some say that they would build a bridge to be connected.. Well I got news for you. In Denmark and Sweden, the bridge is usually referred to as Øresundsbroen and Öresundsbron respectively. 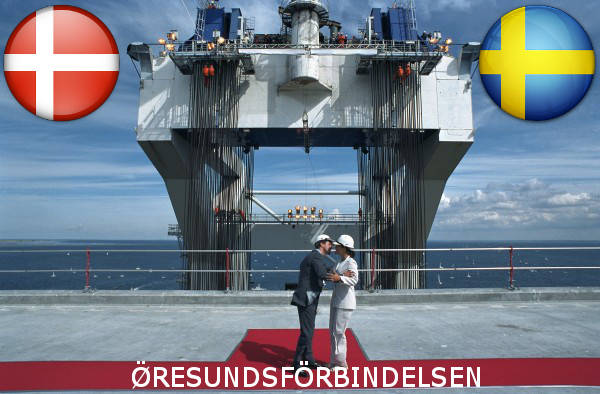 The bridge company insists on Øresundsbron, a compromise between the two languages. Since the crossing is composed of a bridge, an artificial island and a tunnel, it is sometimes called the "Øresund Link" or the "Øresund Connection" (Danish: Øresundsforbindelsen, Swedish: Öresundsförbindelsen). Crownprince Frederik of Denmark and Crownprincess Victoria of Sweden meets in the middle of the bridge that will connect Denmark and Sweden for the first time in history, 14th august 1999. @Svear "...it's one small step for 2 Royals, but a giant leap for Scandinavia...!" @kivimik canada is considered (at least between the danes) as the most scandinavian nation outside of europe. @TheDanishDude I second that. I have lived in Canada as well as Finland and they have very similar values and mindsets, ie egalitarian, fair, progressive and all that. But the Canadians are way too polite! 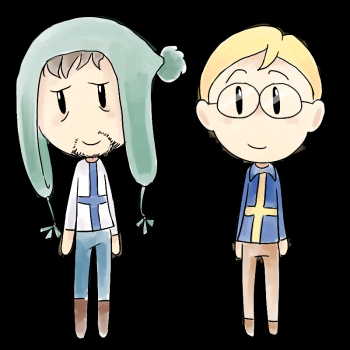 I tried to find some research about who the Finns like the most. I didn't find one, but instead I found a research from 2008, according to which Finns trust (after themselves) most to the Swedes. The research was conducted in 16 European countries and was made by the Readers Digest, and it seems that the feeling is mutual, since the Swedes trusted most to the Finns. Beside Swedes, also the Swiss and Austrians thought Finns are the most trustworthy. Finns trusted least to the Russians (and remember, this was in 2008...). Finns found Switzerland as the most trustworthy vacation destination, at the shared second place came Austria, France and Spain. It seems, that the Finnish cuisine is the least well known in Europe.